A child’s desire to control their environment is ‘pre-wired’ into their operating system from the moment they’re conceived. Some are more interested in absolute control than others. If you have a strong willed, calculating child, I recommend you make the same choice. Techniques for Optimal Results (General). Leading your child means shaping their will. That child, a gift from the Lord, needs strong parents. God has given each parent the authority and the responsibility to lead their child through the process of maturing into a healthy, God-honoring, independent adult. Guidelines. Determine together that you and your spouse will adhere to God’s timeless Biblical principles in raising children as a team. Consequences. 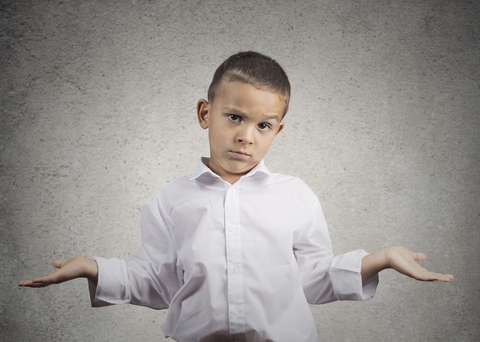 Determine what consequences to apply when children misbehave—before the misbehavior occurs. Consequences must be reasonable for the child’s temperament and age. Education. Use videos, radio broadcasts, online resources, and support groups (if needed) to learn various methods to lead your child through the maturation process. Patience. If a new situation demands immediate action and new consequences, practice patience. Isolate the child (i.e., corner or room) while discussing together the required discipline. Agreement. Always ensure both spouses agree on the action to take. In the event of a disagreement, one parent must defer to the other for the time being until further discussion can occur. Decide in advance who will make this final decision. Failure in this area will result in no consequences being applied (or arguing parents), which tells the child they can divide and conquer in the future. Techniques for Optimal Results (Specific). Consequences List. Post a list (keep it short) where all can read or see it. We used the refrigerator. Point to the list when disciplining. You’d be amazed how soon the kids memorize the list. Enforce within a time span the child understands. Immediate action. The parent must make an immediate, firm, and loving response when misbehavior occurs. Don’t hesitate once the rules are in place. Determine to keep anger, frustration, and exhaustion under control to avoid a rash response you’ll have to redeem later. Use prayer, memorized scripture, or another technique to stay cool. The Store Meltdown. Timmy is four years old. The last two times in the grocery store, he’s learned you will buy him a treat to keep him quiet. In the middle of the store with half your shopping done, he demands a candy bar that he likes. You tell him, “No,” but he starts yelling. Your two-year-old in the cart begins to raise her voice. When you fail to agree to Timmy’s demands, he falls to the floor screaming and creating a scene. The Response. Since Timmy has escalated his campaign for control, you must take action. First, assure your two-year-old everything is okay. Pull the cart to the side. Calmly grasp Timmy’s arm and tell him to get up and move over to the cart. Sit him on the floor next to the cart and crouch down to talk with him. Keep your voice level and firm. Explain the consequence he will receive once he is home (or at a place you can apply the correct discipline). At this age, it may be loss of certain privileges (TV, video, game, playtime), time in the corner at home, or discipline from the father that evening. Tell him his behavior will determine how long he will be in the corner, how many privileges he will lose, or the type of discipline he’ll receive from Dad. Wait until he gets quiet. If he continues his tirade, take both kids out to the car to see if that will get his attention. You may have to be late to another activity or delay something else you are doing, but it is critical that your son listens and obeys. Because you have planned ahead for possible misbehavior and determined what actions to take, even if the misbehavior interrupts the day’s events, you will stay in control. And, more importantly, you have shaped the will of your child to obey Godly authority from his parents. Working together as husband and wife, your child will experience effective and reasonable discipline. Hint: Set aside an undisturbed ‘coffee time’ of about half-an-hour to share the day’s experiences and re-unite as a couple right after dinner. This provides time for any action required after your time together for discipline of the children. Next month we tackle the second challenge—emotional control. We will also look at a little older child with each succeeding element of control.